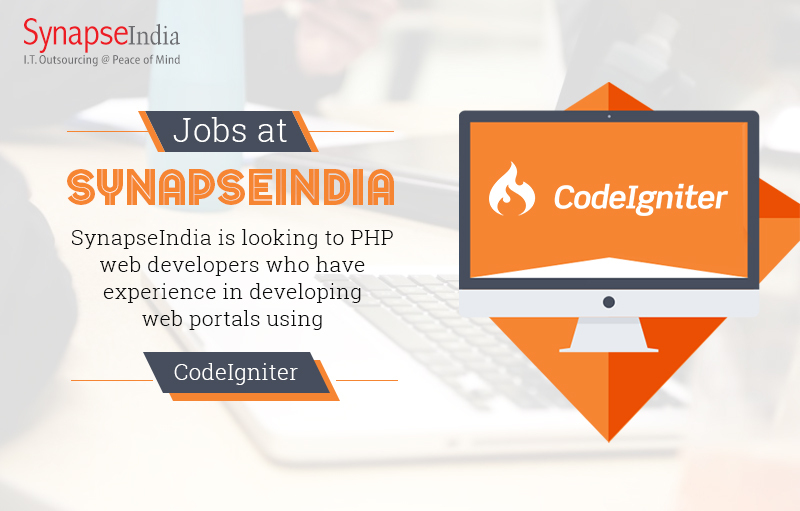 Checkout SynapseIndia jobs opportunities for PHP(CodeIgniter) developers at company's Noida based headquarter. SynapseIndia is an esteemed PHP development company known for creating world-class websites using all major open source platforms including CodeIgniter. We bring the experience of more than a decade in offering web & mobile development services and are renowned for CodeIgniter Development. We cater a full range of design & development services for CodeIgniter. If you're looking for an excellent opportunity in PHP(CodeIgniter), kindly take a look at SynapseIndia jobs opportunities and apply through our official company website. Also, you can connect with us on social networks to stay updated about upcoming opportunities with us.